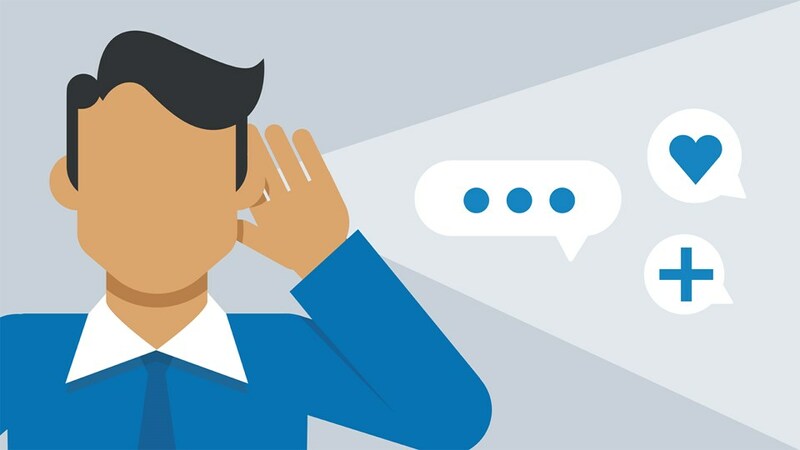 Customer listening programs too often result in a shrug or confusion as to what to do next. Make sure yours gives you information you can act on. • to know what you’re good at, so you can keep doing it. • to know where you’re not so good so you can improve. • to face your fear of negative feedback. • to ask your customer how you’re doing. Ultimately, the aim should be that the survey results should directly aid further planning and decision-making. If the survey only results in ‘so what?’, apathy or inaction, it will be a failure. There is only limited value in asking your continuing customers. They will presumably be at least reasonably satisfied with your services and will therefore put a positive spin on the results of the survey. Your most valuable insights will come from dissatisfied and lost customers. You need to identify these and persuade them to contribute to the survey – with incentives if necessary. Understanding your customers means acknowledging that they are not homogenous and identikit. They will have different likes and dislikes, different preferences and will likely have engaged with different teams and individualsin your organization. Segmenting your customers for the survey will give you extra data that will allow you to compare different ratings and reponses – vital in identifying what works and why. Think in advance about how you might respond to any results. If you are not going to act on the results, what is the point of asking the questions. If you respond the same to a 6/10 rating as a 9/10 rating, why bother? Answers bring questions, and the best surveys will provide a wealth of information for further investigation. For this reason it is often a good idea to undertake qualitative research (though longer flexible interviews) after you completed some initial quantitative research. Whichever approach you take, work with the data to identify what’s really going on in terms of trends and drivers. Ask the ‘why’. Look for explanations – and then look for solutions to problems, or how to extend and leverage success. Are the results good or bad? How should we interpret them? To best understand any results, it is good to be able to benchmark your performance against others. Whilst this isn’t possible for many specific questions, data is available for general net promoter (NPS scores) in most industries. Even more valuable than benchmarking against others is to benchmark against yourself. Single one-off surveys will only give limited conclusions: for real value, you need to be able to see how performance and ratings move over time – so you can see if change efforts are producing superior results. Don’t rush into developing customer satisfaction surveys if you don’t know how you are going to use the data. CX Training can help you develop surveys that will lead to better decisions, investments and results.